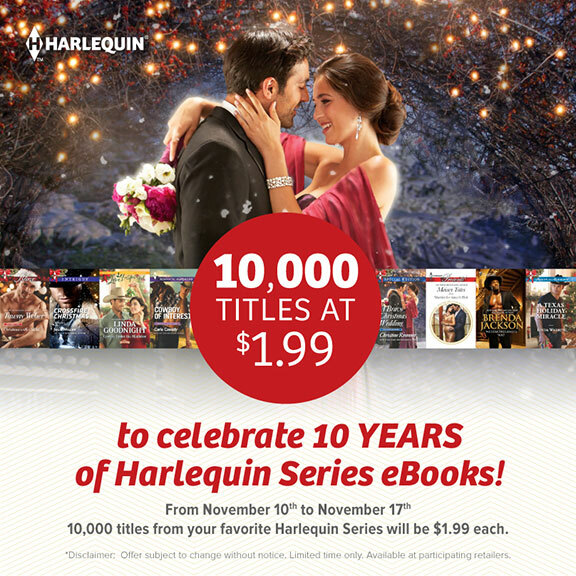 In celebration of 10 years of digital publishing, Harlequin is offering 10,000 e-book titles priced at $1.99! Their biggest e-book sale ever starts today... from November 10th – November 17th at Amazon.com, Barnes and Noble, Nook, Google and Kobo (US only). There are over 60 of my books at this incredible price. Grab some today!